I would be honored for you to join me at the opening reception from 5 to 9 pm. I will have 45 original pastel paintings on display. 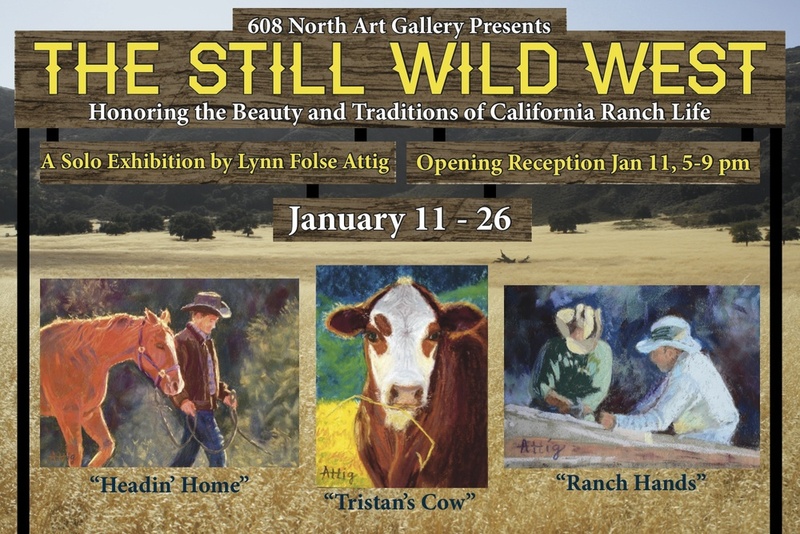 You can go to my art Facebook page at Lynn Attig Fine Art for event details. Hope to see you there! I started this morning dabbling and experimenting in celebration of selling two paintings this week. I tried out two new surfaces and painted two smaller studies. From these studies I created the finished piece entitled "Forbidden Fruit." It depicts my daughter's horse, Drifter, trying to reach the lemons on the tall tree by the round pen. He looks like a giraffe reaching up so high! Our horses all love fruit, and on many occasions they are caught red-handed sneaking through the orchard gate and eating the fruit from the apple, pear, lemon and orange trees. Thanks to my friend Sondee for capturing the photo of Drifter and letting me paint it. Hope you enjoy our horses' many antics!